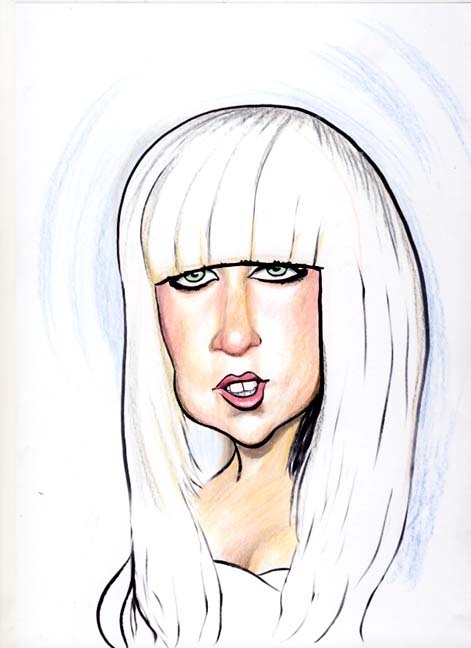 Lady Gaga Caricature cartoon showing her half cut side sloping eyes and her long large nose with jowly cheeks and small mouth including overbiting teeth. 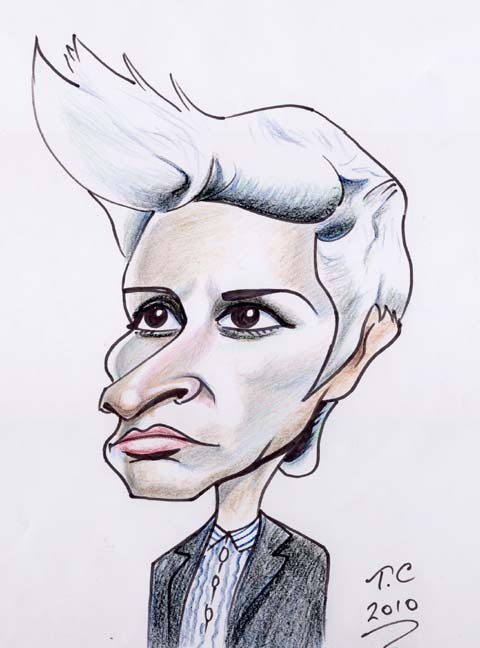 Great for caricature, a real meat feast ! was a great event with fantastic efforts all round however small from both family and friends from Baghdad, Afghanistan to West Virginia, USA. 11 months in the planning and 17 hrs enjoyment on the day. All in the name of Cancer. In total they raised $8000 and most of all raised awareness. 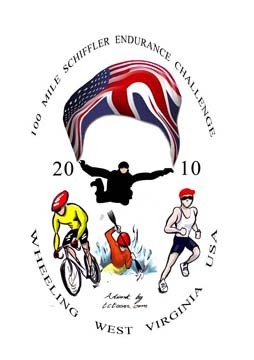 This is my logo design that they had printed onto T shirts for the day. Thomas Turgoose, Shaun and Vicky McClure, Lol. 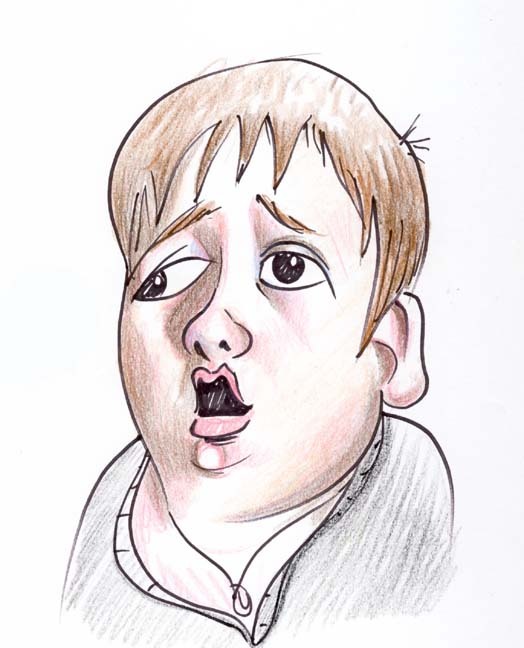 Great characters in the aclaimed This is england 86 channel 4 tv series. Wayne Rooney not himself, allegations that Wayne Rooney is out of sorts and that his private life affected his performance in the world cup. 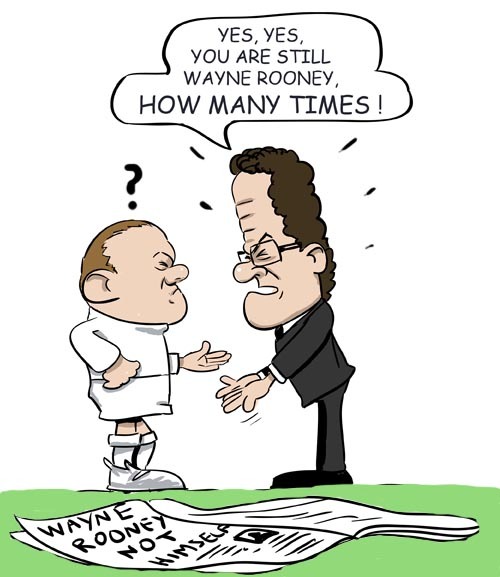 If he’s not Wayne rooney…..who is he ? Fabio Capello tries to explain. 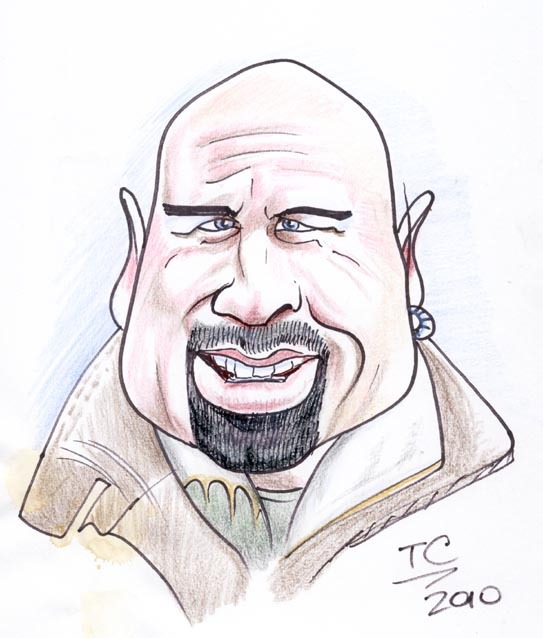 John Travolta in Paris caricature cartoon, watched From Paris with love last night, a bit unusual seeing John Travolta without hair, great film, lots of action. I spilt coffee on this one but had to carry on and finish it, might do a digital version. 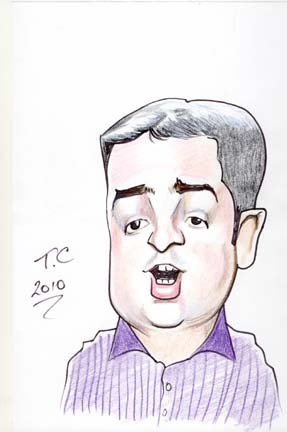 Jason Manford caricature cartoon, a proper mancunian comic. aside from the live at the Apollo he now fronts the One show on BBC one. 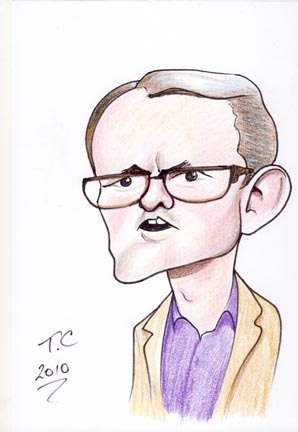 Sean Lock caricature cartoon, he can come up with the most surreal situations, I’d like to see him in a drama, he could make a really good actor. 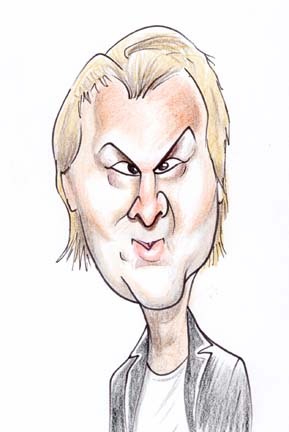 Jason Byrne caricature cartoon, with a manic style of comedy he can pull some crazy expressions. 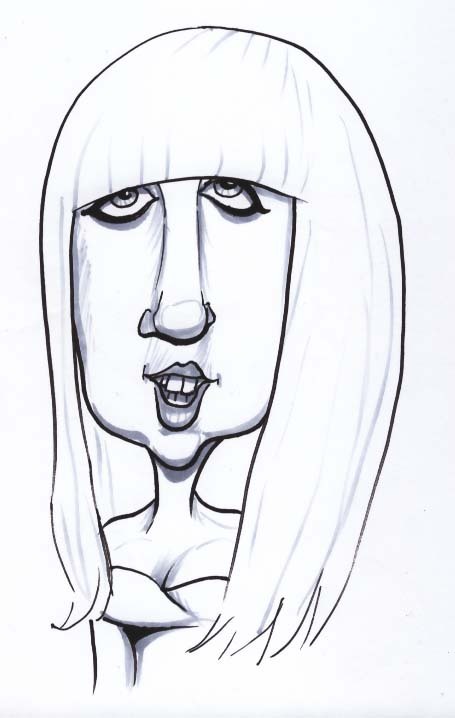 Ideal for caricature.